Established for over 20 years, HSK Solicitors are proud to offer a wide range of commercial and personal legal services from our Bolton and Manchester offices. In recent years, we have seen an unprecedented rate of growth across both our north-west offices and provide legal services to clients through out England and Wales. From your Personal Injury claims to property and Conveyancing matters, Immigration issues, Divorce and Litigation, our friendly solicitors in Bolton and Manchester are here to help. Here at HSK, we pride ourselves on looking after our growing client base as we focus on customer service from our highly motivated experienced team of solicitors. If you live in Bolton, our legal eagles' on St.George's Road are waiting to see you or if Manchester is closer, Cheetham Hill Road is just a stone's throw away from the city centre. Here at HSK we understand that dealing with solicitors can be daunting but we like to think we are a little bit different. 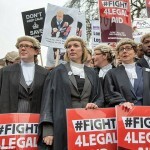 Providing the friendly face of the legal profession, our lawyers are dedicated, professional and most importantly always available. If you would like to discuss any legal matter please call our Bolton office on 01204 526465 or our Manchester lawyers on 0161 795 4818. Offering a range of legal advice we help our Bolton, Manchester and National clients with Conveyancing, Wills & Probate, Family, Litigation and Immigration support. If you're looking for a friendly, professional, law firm look no further ! A well to do landlord is suing his local Police Authority for wrongful arrest. 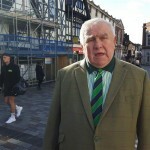 Fergus Wilson, aged 70, accrued hundreds of properties in the Maidstone and Ashford areas of Kent. According to a global study that warns that sexual abuse of boys is "barely addressed". In many cases, laws were specific to girls and did not recognise boys as victims. If you're struggling to handle an estate after the death of a loved one, our #Bolton Probate team can help you during this difficult time.